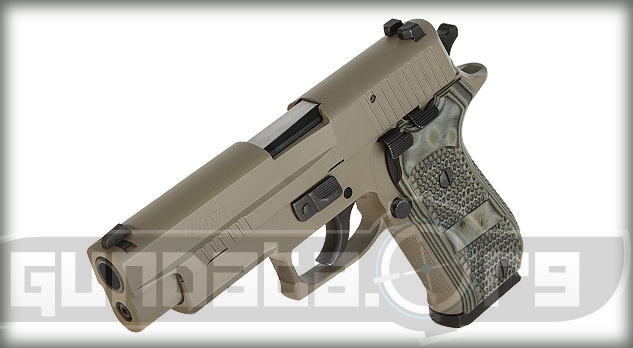 The Sig Sauer P220 Scorpion is a large frame, elite-beavertail, semi-automatic handgun, which is designed for recreational, competitive, and self-defense purposes. 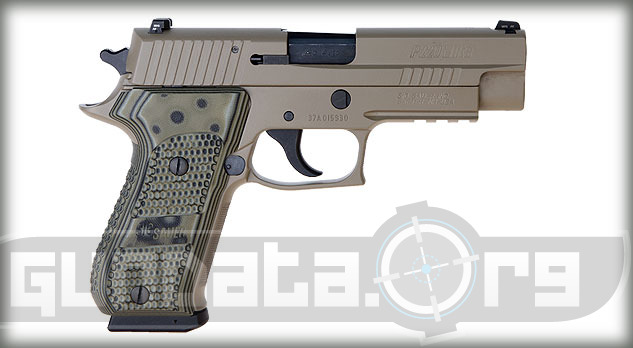 It has the 4-point safety system that all P220 models offer. It also has the option for a threaded barrel, which allows users to add a suppressor. 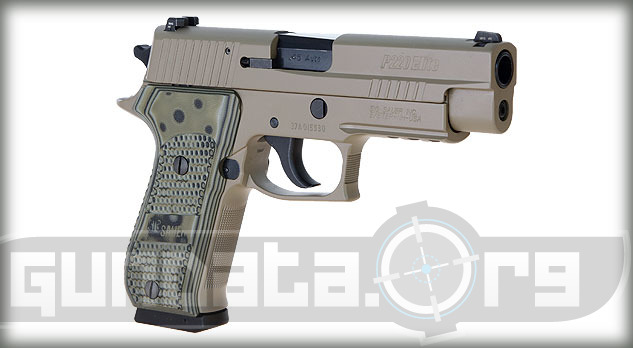 The trigger system is a short reset trigger, and provides double along with single action. The approximate pull for the single action trigger is 4.4-pounds, and the approximate pull of the double action is 10-pounds. The sights are the SigLite 3 white dot night sights. 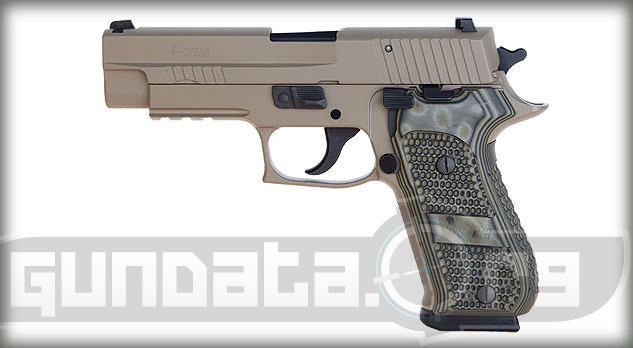 The P220 Scorpion frame material is made of alloy, with custom Flat Dark Earth Coating. 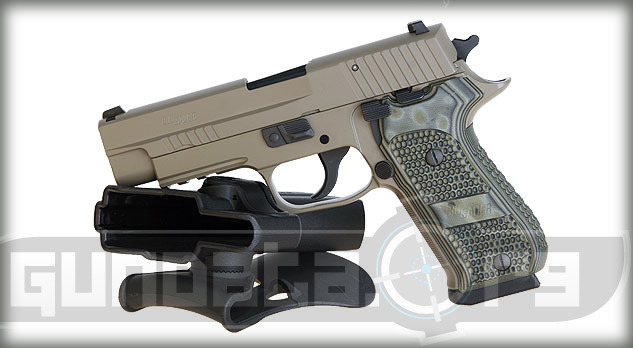 The slide material is made of stainless steel, with a Custom Flat Dark Earth Coating. The grips are Hogue G-10 Piranha with front strap checkering. It holds an 8-round magazine of .45 ACP ammunition, and has an option for users to upgrade to a 10-round single stack extended clip. The overall length is 7.7-inches (8.2-inches threaded barrel), with a height of 5.5-inches, and a barrel length of 4.4-inches (4.9-inches threaded barrel). The frame has an integrated Picatinny M1913 accessory rail for mounting a light or tactical laser onto.